Visiting Lake Bled from Ljubljana independently normally means using buses, trains, and cabs, and is difficult in under a day. This half-day tour eliminates the hassle: with return transport, plus a guide to shed light on the region. 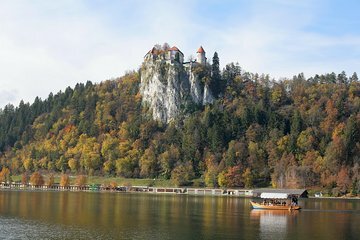 Admire bird’s-eye lake views from Bled Castle, see its medieval printing press, stroll the lakeside, ride a rowboat (own expense) to the island church, and more. Ideal for travelers with limited time.